This heavily modified Royal Enfield Continental GT 650 was taken to this top speed by 18 year old Cayla Rivas, a 12 time world speed record holder. Modified by Harris Performance, a unit of Eicher Motors Ltd owned S&S Cycle Inc, RE Continental GT 650 raced its way into record books on the first day of the attempt. It was being handled by 18 year old Cayla Rivas, 12 time world speed record holder. 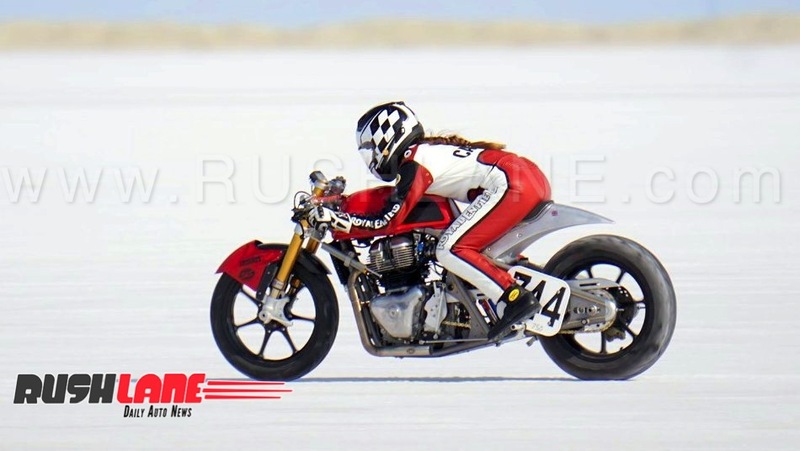 She clocked a top speed 150 mph (241.40 kmph) at Bonneville Salt Flats – setting a new speed record.